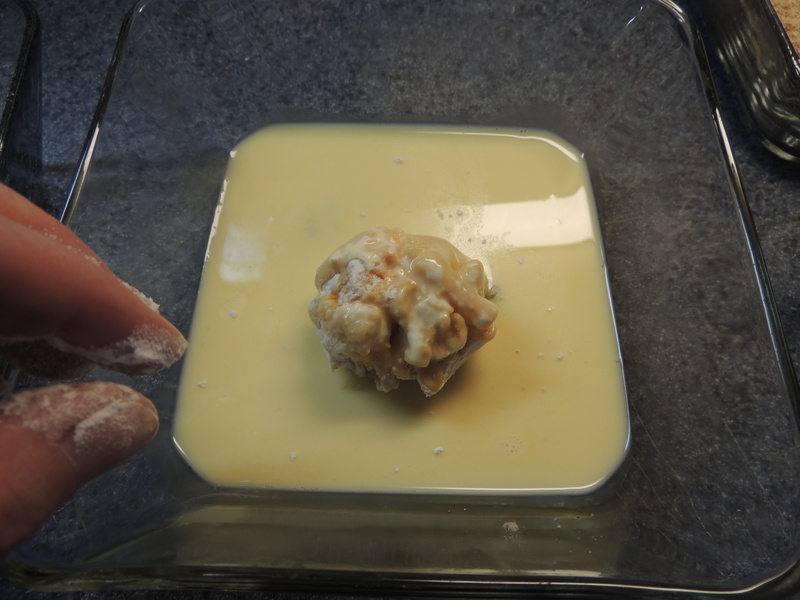 Take about 2 tbs of the mixture and squeeze it to compress the filling. 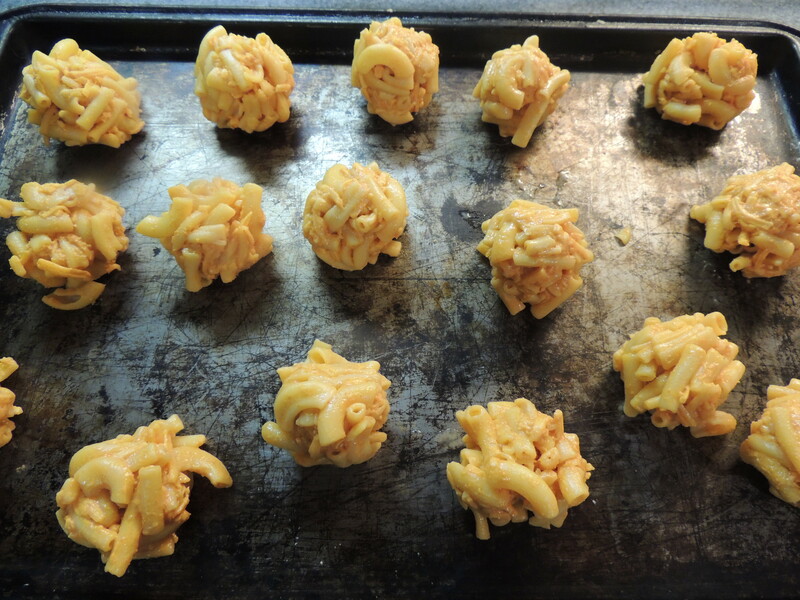 Roll it around to form a ball and place on a sheet pan. If you find it’s sticking to your hands or not rolling nicely, dampen your hands with a touch of cold water. It’s okay if a piece of macaroni is sticking out a bit, it doesn’t need to be perfect! 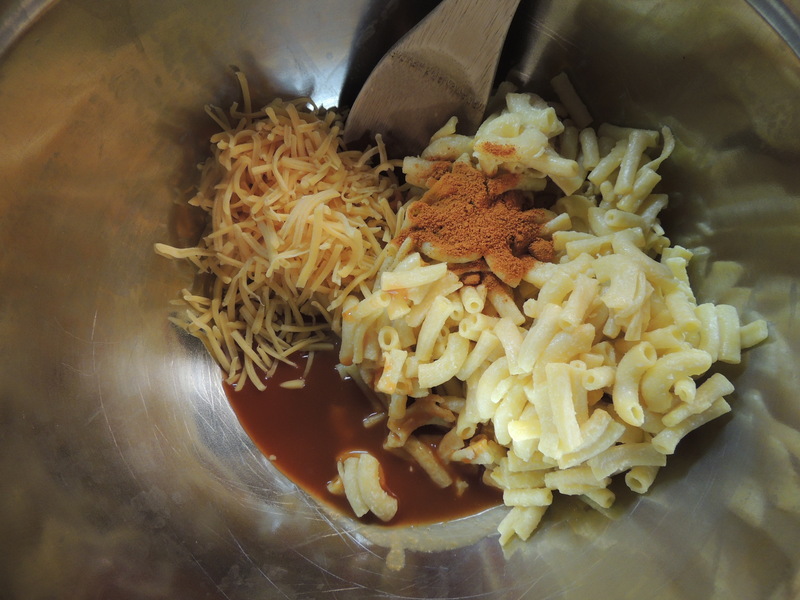 Repeat this process with the remaining mixture. You should make about 16 – 1 1/2 in balls. Chill the balls in the refrigerator for 1 hour to let them set up. 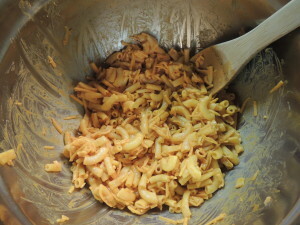 Step 5: Fry ’em up! Heat a deep fryer to 325 degrees. 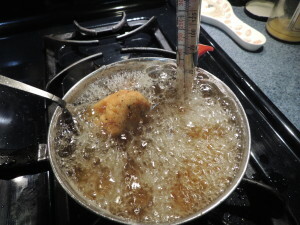 If you don’t have a deep fryer, you can fill a small sauce pan 2/3 full with oil and monitor the temperature with a candy thermometer. Fry the balls in batches for 2-3 minutes until the coating reaches a deep golden color. 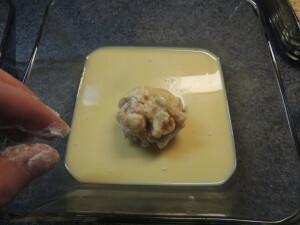 Remove from oil and drain on paper towels for 5 minutes. Now, eat them!! 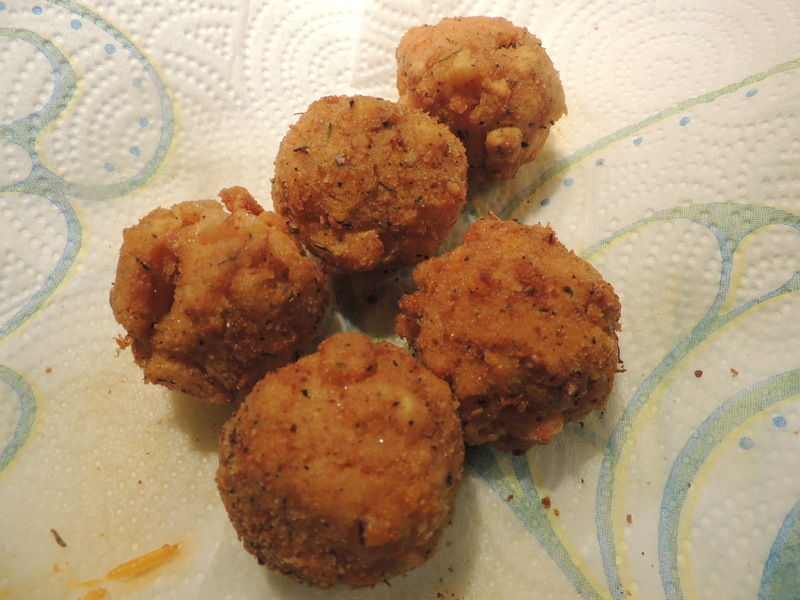 If they are a bit too spicy for your liking, you can dip them in a little ranch or blue cheese dressing. 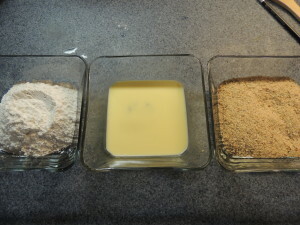 In a bowl put the remaining 1/2 cup of flour. In a second bowl, whisk the egg with the milk. 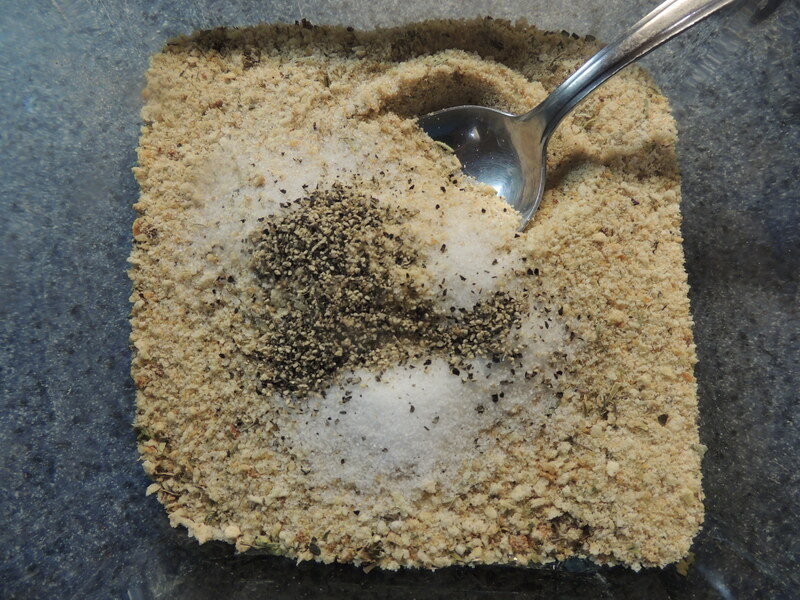 Finally, in a third bowl mix the breadcrumbs, salt and pepper. 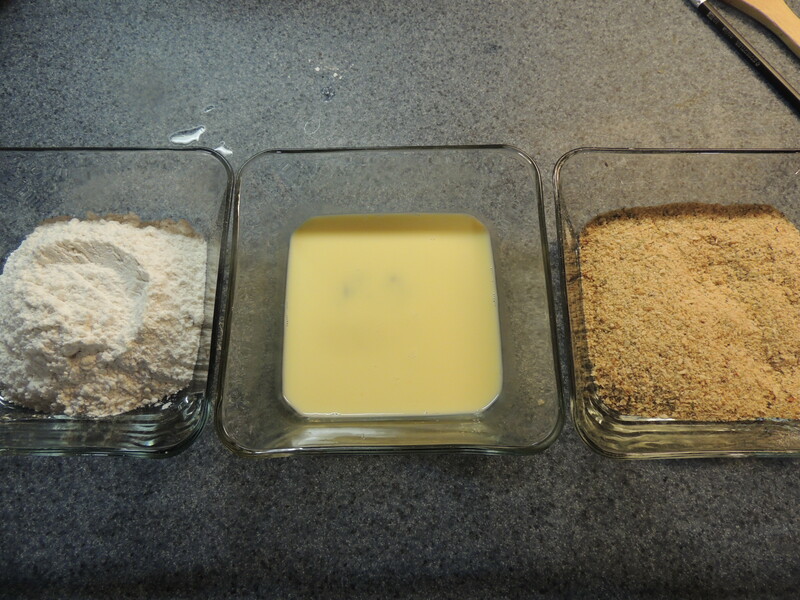 Arrange the bowls in a line: flour, egg, breadcrumbs. 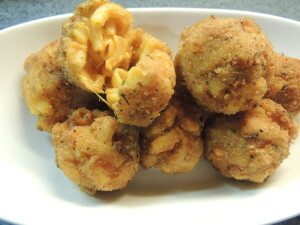 Remove the macaroni balls from the refrigerator. Take one ball and give it a quick squeeze and roll to finalize the shape. 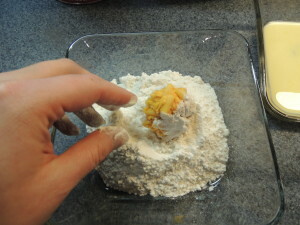 Roll it in the flour, shaking off the excess. 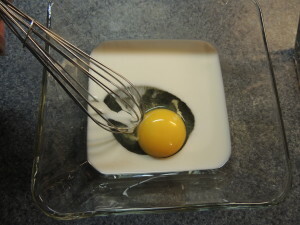 Then, dunk it into the egg wash. 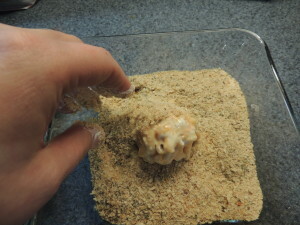 Finally, roll it into the bread crumbs and place back on the sheet. Repeat with the remaining balls. Heat a deep fryer to 325 degrees. 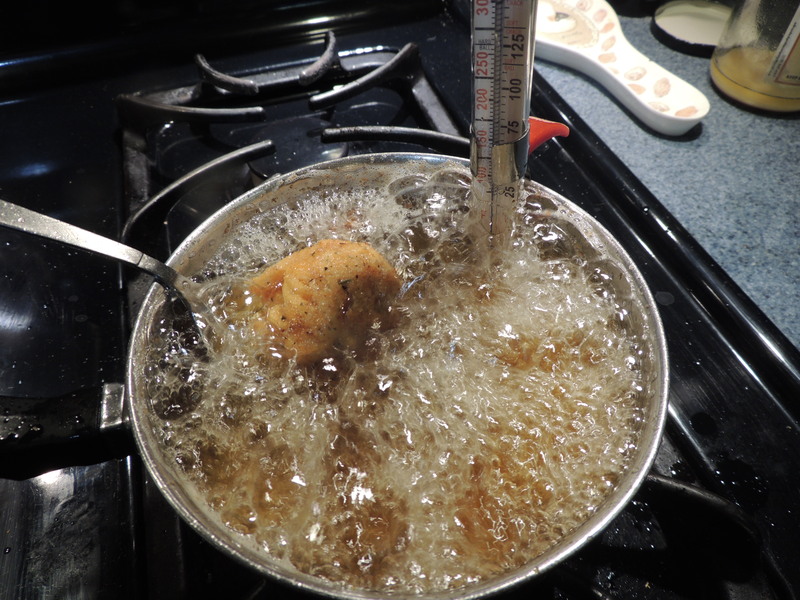 If you don’t have a deep fryer, you can fill a small sauce pan 2/3 full with oil and monitor the temperature with a candy thermometer. 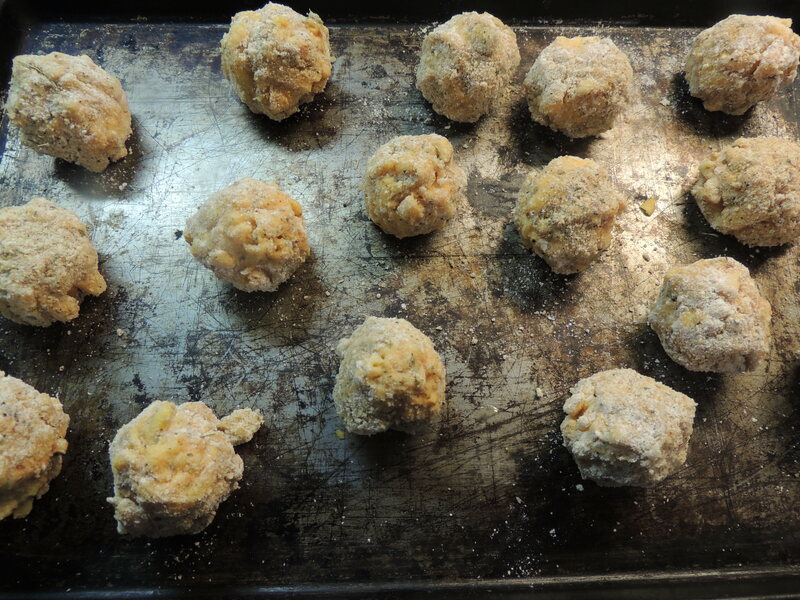 Fry the balls in batches for 2-3 minutes until the coating reaches a deep golden color. Remove from oil and drain on paper towels for 5 minutes. I’m going to try and make those!